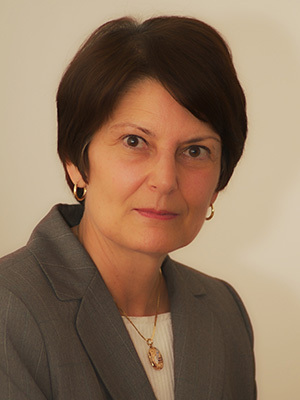 Dr. Susan Šarčević is professor Emerita and former Head of the Department of Foreign Languages at the Faculty of Law of the University of Rijeka (Croatia) where she taught Legal English, Legal German and EU Terminology. At postgraduate level she taught Legal Translation and Terminology at the Zagreb University Faculty of Law and Faculty of Humanities. She has published extensively on legal translation, comparative legal terminology and multilingual communication in the law in English, German and Croatian. Her best-known work New Approach to Legal Translation has recently been published in Mandarin. She has lectured worldwide as guest professor and plenary speaker at numerous conferences. She headed national projects on Translation of EU Legislation and co-chaired the project “Creating Croatian Terms for EU Legal Concepts”. She also trained Croatian translators and lawyer-linguists for the European Union and served as adviser to the Independent Translation Service of the Croatian Ministry of Foreign and European Affairs. She is research professor at the Center for Legal Translation of the China University of Political Science and Law in Beijing, member of the advisory board of the Centre for Legal and Institutional Translation Studies of the University of Geneva and sits on the editorial boards of several international journals.